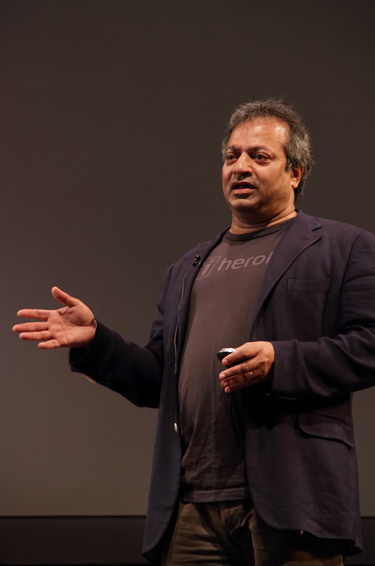 “Game mechanics have found their way into many aspects of our lives, and the enterprise is poised to be next”, according to Salesforce.com Chief Scientist JP Rangaswami, one of the world’s foremost experts on the future of work. In a session at ReadWriteWeb’s 2Way Summit back in June 2011, Rangaswami outlined how and why gamification will shape the future of work. He claimed that as a new generation of knowledge workers land in jobs at organizations big and small, they’re bringing with them different expectations and are motivated differently than workers once were. In a few days, at Gsummit, JP, he will explain how the concepts of gamification, innovative companies are driving unprecedented engagement within teams and entire organizations. According to what he said in that session, one way to motivate those workers is by incorporating game mechanics into the workplace, especially when it comes to rewarding worker performance. A year after, after having seen the power of gamification in marketing initiatives, it becomes apparent that game mechanics into the workplace doesn’t seem to be such a bold idea. Awarding symbolic tokens akin to Foursquare badges when a worker masters a new skill, for example, can both serve to reward that person and establish what people’s skill levels are.This type of gaming convention is familiar to the new generation of workers, most of which are digital natives who, even if they’re not gamers, have dealt with game mechanics in social media and other aspects of their lives. Knowledge work is inherently “lumpy,” as Rangaswami described it. In other words, rather than being steady and consistent as it was on assembly lines, modern work has peaks and valleys of intensity and workers are more easily able to shift gears between tasks. All to often, the gaps are filled with what Rangaswami called “this 20th century mechanism called meetings.” Instead, they could be filled in part by conventions borrowed from games. “The changes have to be deeper for it to be worthwhile,” Rangaswami said. This is one of the most thought provoking takes on Gamification I’ve seen. The cultural change of the new generation and the digital revolution is already here, but the old value systems and social structures need to be redefined to embrace it.